Other than getting sick, traveling in Cambodia has been unlike any other place we have been to, due to the connection between the recent history of the country and lasting effect it has had on both the people and current politics. 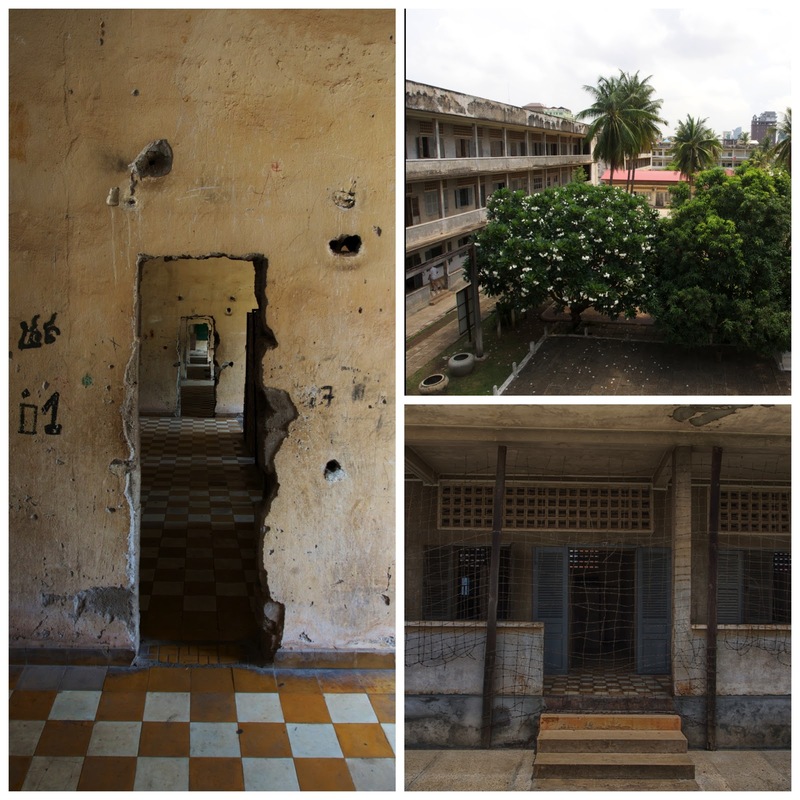 We did not know very much about the Khmer Rouge and the mark it had left on Cambodia, we spent the first week of our trip absorbing as much of the history as we could. What we discovered is that it's not so much history as it is current events. Here's a quick rundown (though even wikipedia will do you better! ): The Khmer Rouge overthrew the Cambodian government in 1975 and remained in power until 1979, under the hand of Pol Pot. Most all professionals, doctors, and otherwise educated people were tortured and killed. Phnom Penh city was completely evacuated, with all inhabitants relocated to the country to live in Agricultural Communes. Parents were separated from their children (so the Khmer Rouge could indoctrinate them as they wished). The Communes were basically concentration camps where the Cambodian people were put to work growing rice; many of these people died of famine, as much of this rice was sold to china and other countries. During the 4 years under Pol Pot, somewhere between 1.4 and 2.2 millions Cambodians died, from torture, murder, starvation, or disease. Fast forward to today. 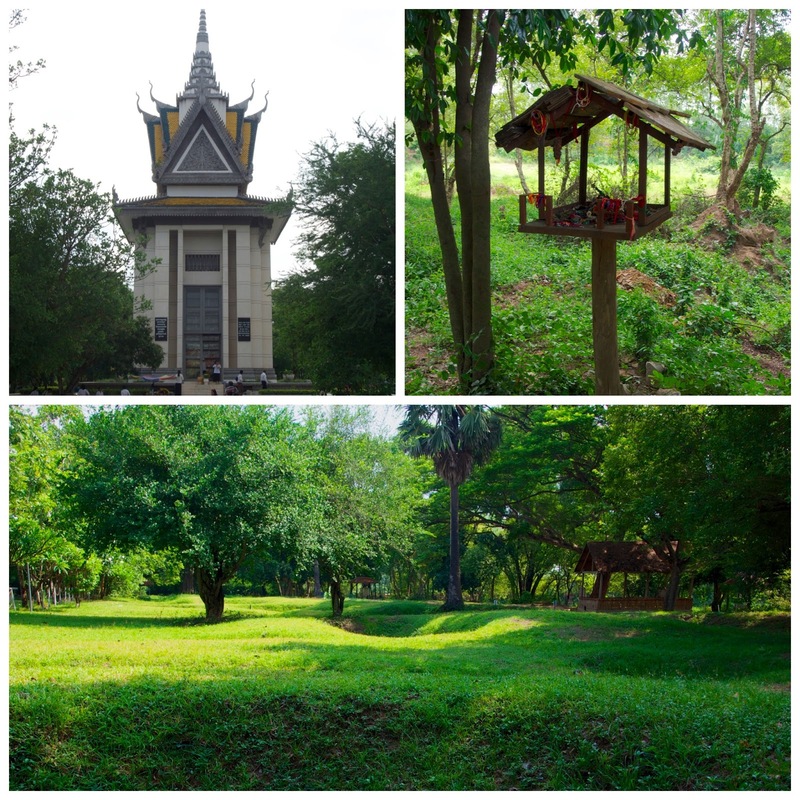 The two biggest tourist attractions in Phnom Penh are the Killing Fields at Choeung Ek, and Tuol Sleng (also known as S-21), the prison where thousands of Cambodians were tortured before being transported to Choeung Ek for termination and disposal). The Killing Fields are a surprisingly peaceful memoriam to the people who died during the Khmer Rouge regime. Part of the peace is brought on by the fact that all the visitors are walking through the outdoor memorial on headphones listening to a guided tour provided by a survivor of the regime, speaking about his experiences. It was a moving and powerful memorial. The S-21 prison was an elementary school prior to being evacuated and transformed to a prison. It is an eerie place to be and it is filled with hundreds of photographs the Khmer Rouge took of their prisoners before, during, and after torture. You very much get a sense of the people who were tortured or died here. And lest you think because these horrible crimes occured more than 30 years ago, that it is history, you would be mistaken! The morning paper, the Cambodian Daily, had front page articles regarding the Khmer Rouge every day we were in Phnom Penh. Heading into elections, the opposition leader who is running for PM stated that the Khmer Rouge never tortured prisoners at S-21. The very next week, the legislators drafted and passed a law that one can face prison time for denying torture and other atrocities done by the Khmer Rouge. In addition, the Crimes Against Humanity Trials were taking place not a mile from our Hotel and the daily progress of the trials was front page news. This is definitely not history!